Massive, bouncy, mirror shiny hair is one of my biggest beauty wishes. I have never considered myself to be particularly good with hair, and I have always relied on salon stylists to recommend me products. I have used chemical products in the past, and some have had amazing effects, seeming to transform my hair in a single wash. However, my problem has always been the same; the amazing results end after the first few washes. Unable to live a life with limp and lifeless hair, my bathroom cabinets were always packed with various shampoos, conditioners and styling products. Not good for my bathroom feng shui, and definitely detrimental to the health of my bank account. I am not a hair care expert, and if you had asked me a few months ago, I would have told you that I wouldn’t blog about hair products. But that was before my hair care routine went through it’s natural product revolution. I now have one shampoo, one conditioner, one intensive conditioner and one oil. I am a complete product addict, and I never thought I would see the day that I finished a bottle of shampoo without chopping and changing to use other brands between. I am so happy with the products I am using now, that I feel it would be selfish of me not to tell you about them. 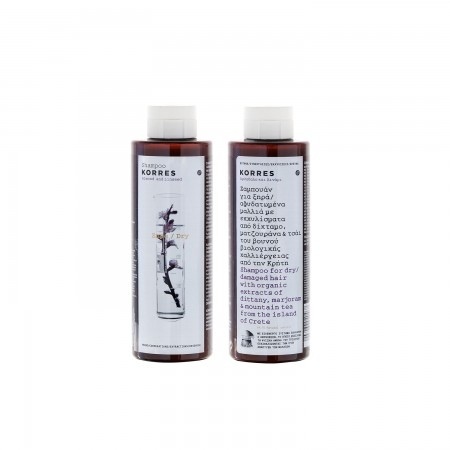 I have been using Korres almond and linseed shampoo for dry hair, and the matching almond and linseed conditioner for dry hair. Both are gorgeous. The shampoo has 84.7% natural content. The conditioner has 92.5% natural content. 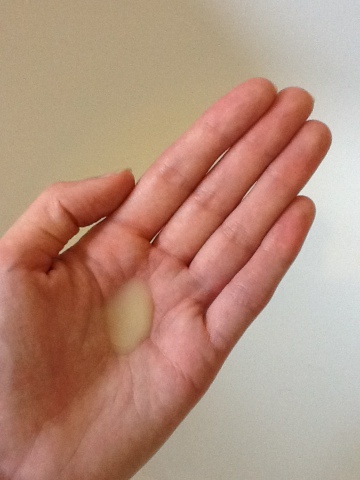 The shampoo has a light yellowish colour and does foam when massaged into hair. Not the masses of bubbles some shampoos will give, but enough to stop me from panic adding extra shampoo ‘just to be sure’. 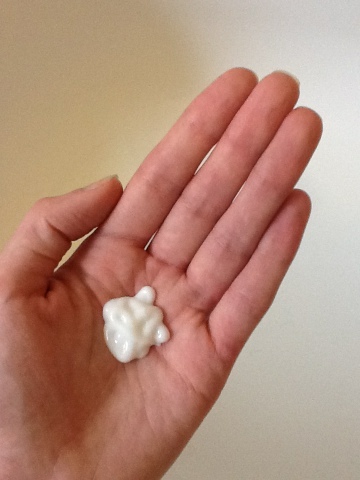 The conditioner is white, with a light texture that spreads through hair well. Both products are quite strong and so not much is needed. If you don’t like the smell of sweet almond, this one may not be for you. Personally, I really like the smell of these products. I find the sweet nutty smell quite relaxing. However, it is fairly strong, and so if you didn’t like it, I can imagine it could bother you. Best to sniff before you buy. The bottle says “Almond and linseed extracts re structure dried hair and make it easier for styling”. I have definitely noticed that I have far less frizz and fly away hair since i started using these products. Because both the shampoo and conditioner are silicone free, you get no build up and there is no need for shampoo swapping before the end of the bottle. Hair is always shiny and bouncy. Makes a smooth and glossy home blow dry that bit easier. I don’t have hair extensions in at the moment, but I did until recently, and this shampoo and conditioner kept them in fantastic condition. For me, this shampoo out preformed some of the specialist extension products. When I had my hair extensions taken out, my scalp was a little sore and tender feeling in places. Washing my hair with this nourishing duo, seemed to help calm and soothe my scalp. Hero product status was confirmed for these products when I visited Charles Worthington salon recently. My stylist commented more than once on the good condition of my hair and scalp. He was so interested to find out about the products that I use, he didn’t even try to sell me the salon products! For anyone who has very long hair like me, or wear real hair extensions, keeping hair moist and strong can be a struggle. This duo have all of the moisture long or over styled hair needs, without any nasty build up or residue. I bought both the shampoo and conditioner in Harvey Nichols for £9.50 each, over a month ago. I wash my hair every other day, always double wash and have approx 1/3of the shampoo left. It is not cheap, but I feel it has lasted well, and probably saved me money really as I no longer feel the need to buy every new hair conditioner I see. 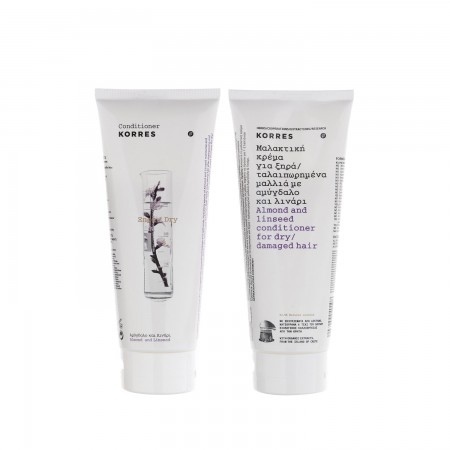 Have you tried any korres products? If you have blogged about any, please leave a link below.